How adorable is this 6 month old cutie? Simba is a super snuggly cuddle bug, loves to sit with you and watch movies. 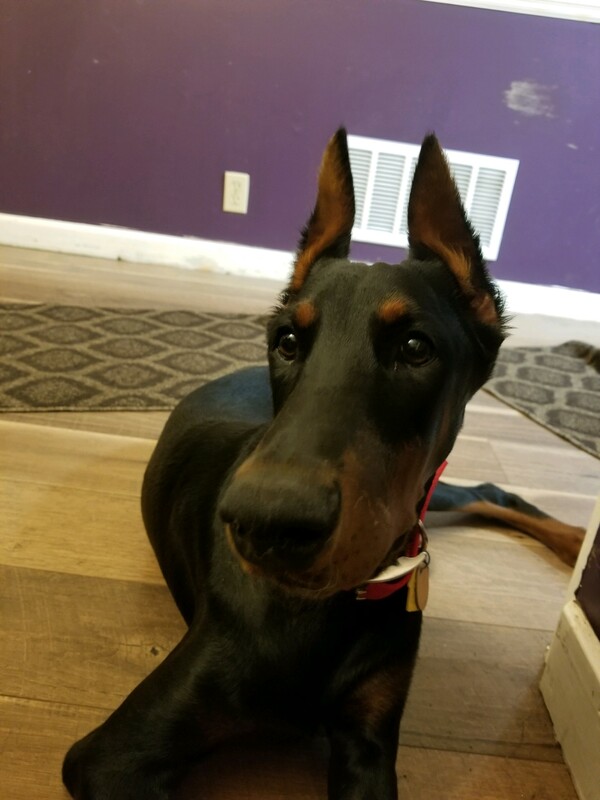 A typical dobie puppy, sweet silly and into as much mischief as he can find, but he is a quick learner and will listen when given proper direction. Simba lives with male and female dogs, big and small. He will be good around kids, even younger dog savvy children. Since he is still a young pup he likes to puppy nip and grab for attention. Because of his young age, Simba will need a home with a fully fenced yard. Simba is 95% crate trained. 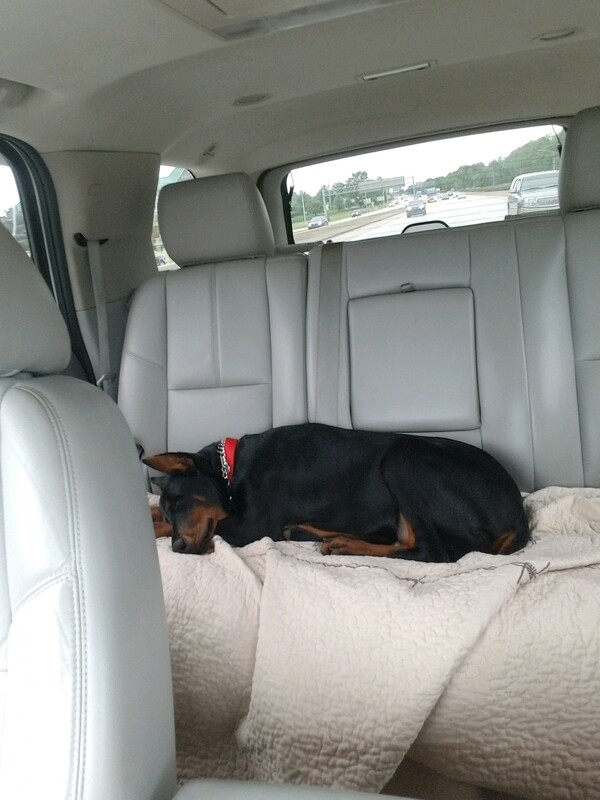 Will be quiet in his crate but when he needs to go out he needs to go right away. 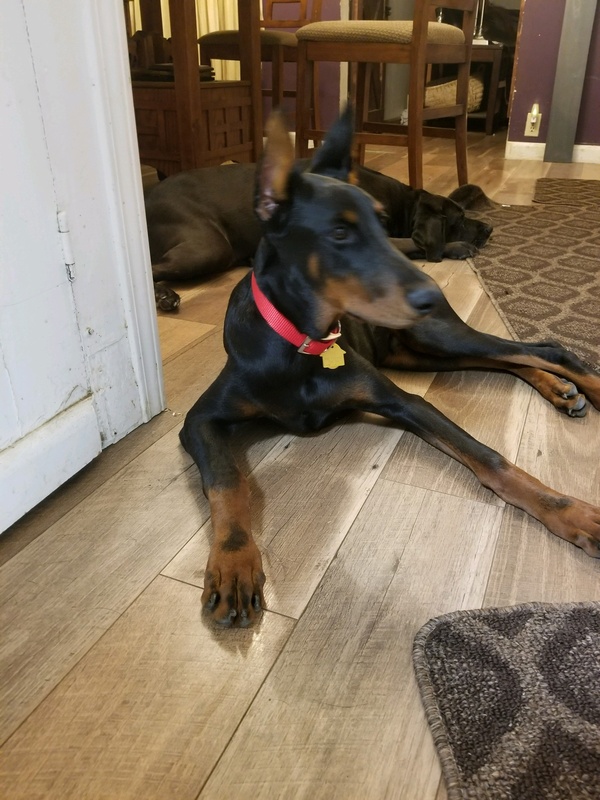 This boy is a real find for someone looking to add a dobie to their family.